Summer 2018 - Your Guide to The Season's Best Fun! Summertime - if there's one thing that all Long Islanders can agree upon, it's that enjoying the season of Summer is a blast here on Long Island! The warmer weather gives us the opportunity to take advantage of all of the great things to do across the Island. 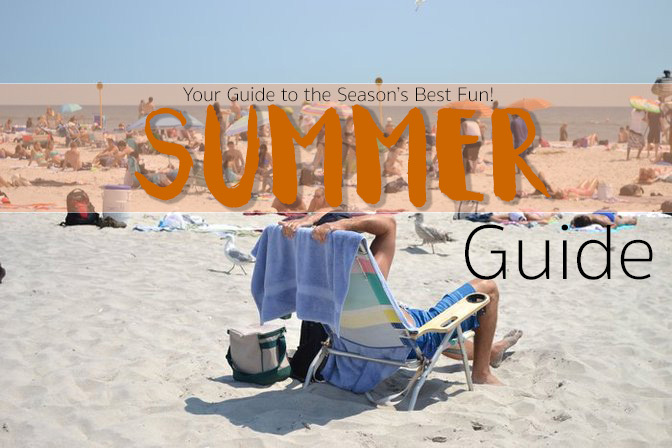 From the warm, sunny beaches that stretch along our shores, to the exciting local attractions that only open their doors for the Summer, there will be plenty of fun this Summer on Long Island, and with our new Summer Season Guide, it's easier than ever before to find just what you're looking for! Whether it's a relaxing day at the beach, a tour of some of Long Island's historic landmarks, or if you're just looking for some adventure this summer, there's something for everyone to do no matter what your interests are. Even if the sun is shining, the sky is covered with clouds or it's a rainy day, make the best of what Summer on Long Island has to offer! 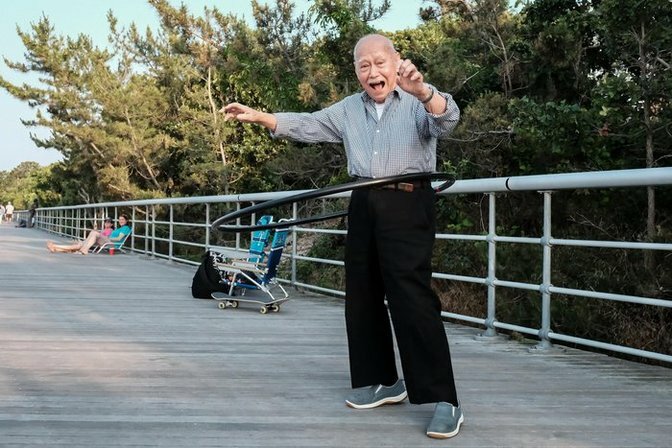 LongIsland.com's 2018 Summer Fun Bucket List - Coming Soon! This summer, there are tons of great ways to enjoy the warm weather, local parks & beaches, attractions, and things to do on Long Island. With so many choices, it can be hard to decide what to do first! To help you make the most out of Summer 2017, we've put together a bucket list of all of our Best Bets for Summer Fun! Summer is the best time to have fun outdoors; the water’s warm enough to swim and it’s never too cold to stay outside. With miles upon miles of shoreline, Long Island makes for the perfect place to have fun on the beach, and also provides plenty of opportunities for boating and fishing. If saltwater isn’t your favorite, there are also public pools and other great outdoor events. Many fruits and vegetables ripen during the warmer months as well, and you can even visit a few local farms to pick your own. While most Long Islanders look forward to summer as the season they get to hit the beach, the weather does not always cooperate and will occasionally make the outdoors less than pleasant. You don’t have to waste your day away when there’s rain and thunder, however; the Island has plenty of places to go for indoor fun. Catch a play or watch a movie, visit a museum or aquarium, head to the local library and pick out a new book—there’s always a good way to have fun. Though Memorial Day is really in spring, some people refer to it as the “unofficial start to summer,” and it’s the first of several warm-weather holidays. July 4th is, of course, one of the most popular holidays of the season and there will be plenty of fireworks to watch alongside all those barbecues and cookouts, and Labor Day rounds out the summer with one last chance to enjoy a warm holiday. Long Island’s 2018 4th of July Weekend Guide: Fireworks, Parades, Concerts and More! Now that you've gotten the scoop on the biggest holidays of the season, check out these smaller celebrations and observances, and make the most of the Summer Season! 2018 Labor Day Weekend Fun Guide - Coming Soon! This summer, there will be all sorts of fun for you, your friends & family to enjoy. In addition to our great resources and Monthly Guides, we've put together some special features about all sort of local entertainment, things to do, at-home summer fun, seasonal safety, and so much more! A great shot from the Lobster Festival at Sunken Meadow Beach. Photo by LongIsland.com Reader Joe LoBianco via LongIsland.com's Sunken Meadow Beach Photo Gallery. Shop Small & Eat Local by Patronizing Long Island Summer Farmers’ Markets - Coming Soon! Rev Your Engine & Get Ready for Summer 2018 Car Shows on L.I. - Coming Soon! Cool Down This Summer with a Sweet Treat from an Ice Cream Parlor on L.I. Make a Splash This Summer at an Outdoor Public Swimming Pool on L.I. Learn to Surf on LI & Take on Local Waves! Sweet Summer Treats - Recipes & Recommendations! Make the most out of every month here on Long Island by checking out our Monthly Family Fun Guides! Packed with the best upcoming events & entertainment for the month, these are guides you won't want to miss! Have a suggestion for our Summer Fun Page? Let Us Know!